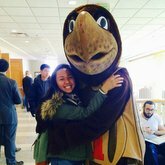 I know this sounds stupid, but one of the things I was most worried about before starting college at UMD was how the dorm bathrooms would be like. "How would they be laid out? 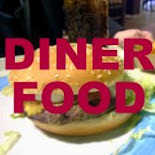 Would they be gross?" I wondered. 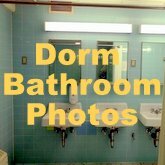 So here's a photo tour of a bathroom. 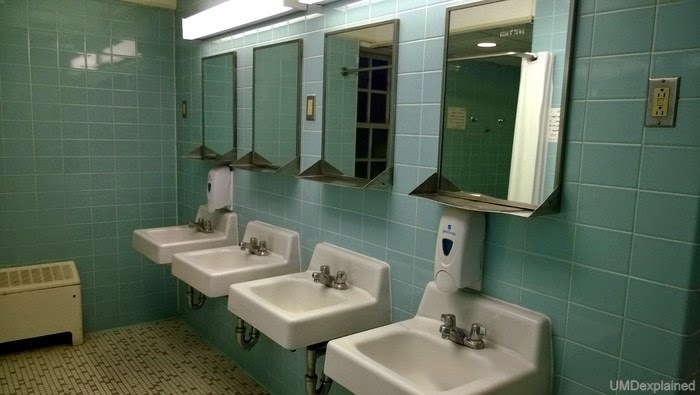 This bathroom is in Ellicott Hall. I'm a girl, so... this is a girl's bathroom. 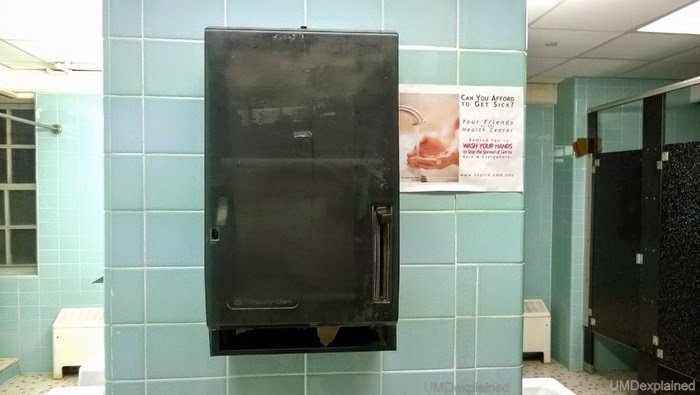 When you first walk in, you see this paper towel dispenser (see above photo). 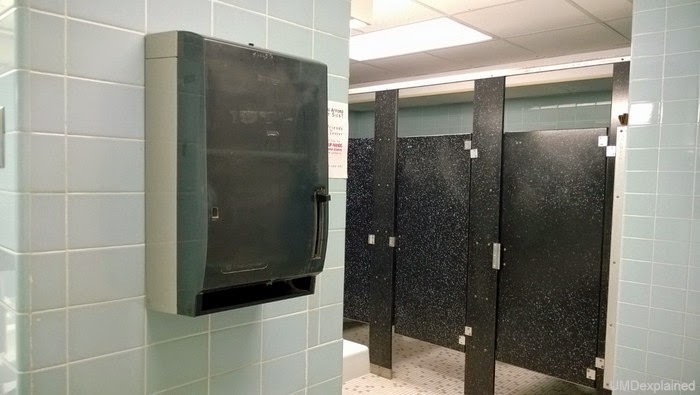 The paper towel dispenser is located on a wall that acts as a divider for the bathroom. The bathroom is divided into two areas. On the right side of the divider, there are toilet stalls. Here's another photo of the toilet stall area. 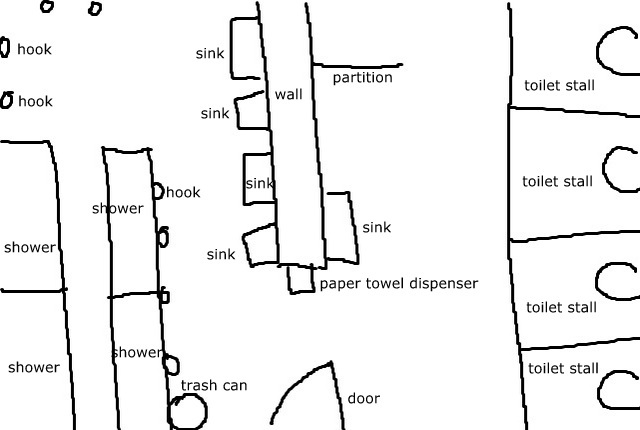 There are also sinks on the wall that divides the bathroom in half. There's nothing behind the black partition on the left though. On the left side of the bathroom, there is a trash can in the corner, and a wall of hooks. There are more sinks here, lining the partition wall. The shelves attached to the mirror are where students usually put their toothbrushes/toothpaste/mouthwash/etc. However, I have seen a few students get a container that fits perfectly between two sinks, so they just wedge it in between the sinks and it doesn't fall. I have no idea where to get one of those though. When we walk to the back of the left side, there's this area with more hooks. 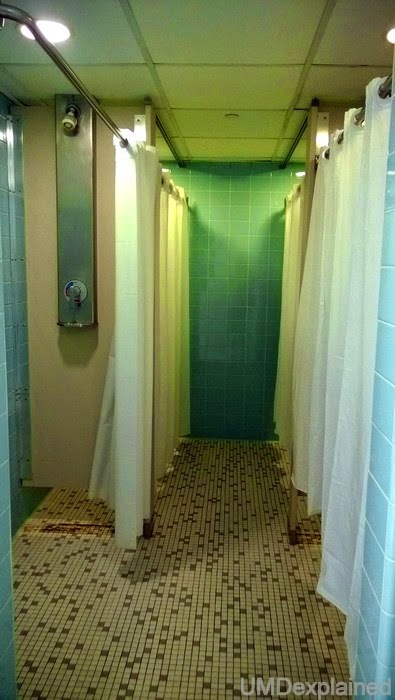 Then when we walk into the hook area, there are four shower stalls on the left. Below the shower knob is a small shelf. You can probably fit a thin bottle of body wash or shampoo or put your razor on there, but that's about it. 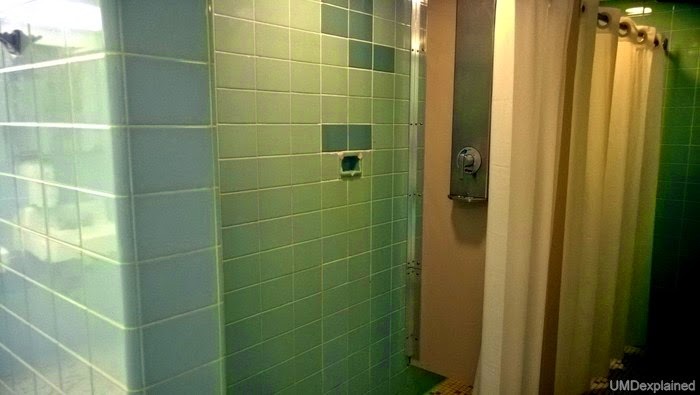 And here's a close up of a shower stall. Not all bathrooms are laid out like this. 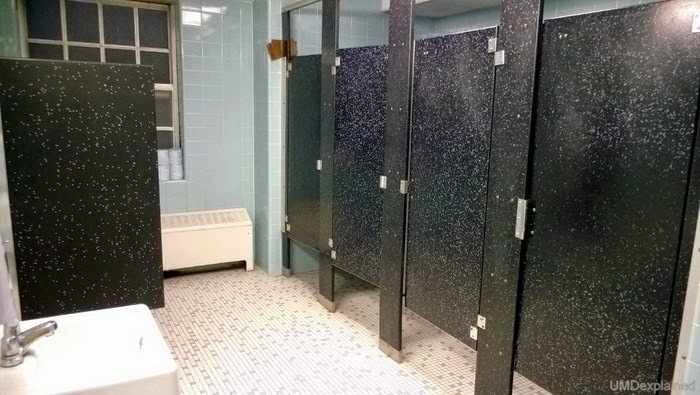 Some showers in certain dorms have changing stalls attached. 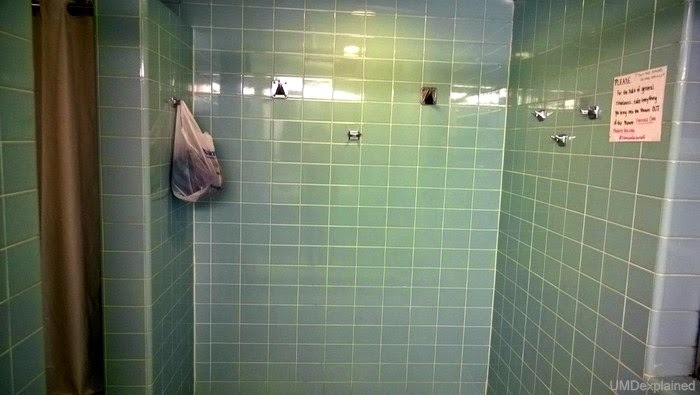 Other shower places have hooks directly outside the shower, so you can reach your towel more easily. 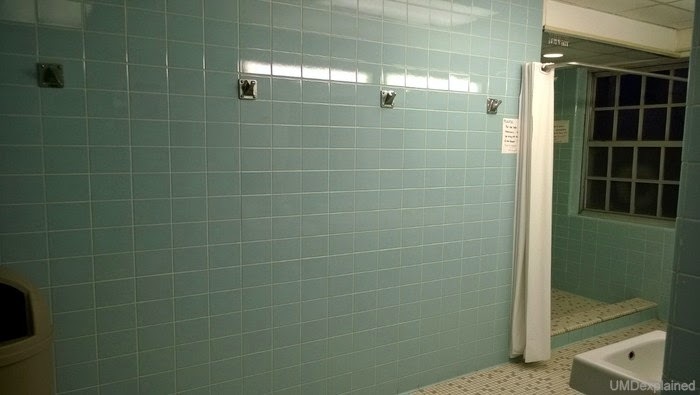 In this bathroom, hooks are located far away from the showers. For the people who have this type of bathroom, they usually bring a clothes hanger to hang onto the curtain rod to hold their towel.